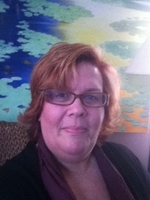 Beth Prins Leas, founding director of the Total Life Care Center, is a gifted energy worker with over 20 years experience - using Jin Shin Jyutsu and Reiki. She is dedicated to empowering her clients through the use of self-help techniques designed to awaken the inner healer. Reiki and Jin Shin Jyutsu® are both ancient healing arts which bring balance and harmony to the life energy in the body, promoting optimal health (body/mind/spirit) and facilitating our own profound healing capacity. Throughout her extensive energy healing work over the past 2 decades with adults and children facing challenges as great as cancer and h.i.v., Beth has witnessed the power of people becoming partners in their own health care. She is a devoted healer and teacher and is passionate about empowering you to live your best life. Beth's down-to-earth sessions combine her childhood gift of intuition with her personal practice of mindfulness, compassion and light-heartedness.